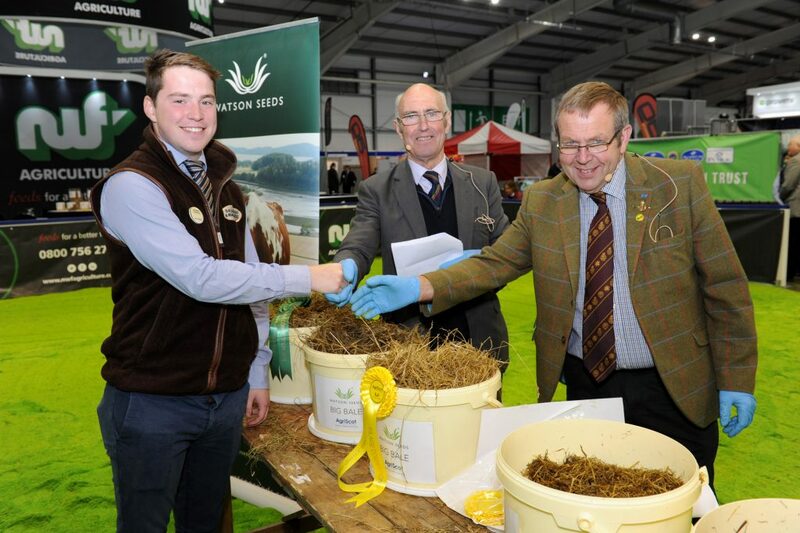 Silage samples from across Scotland, and one from over the border in Northumberland were judged live at AgriScot in front of a busy audience. 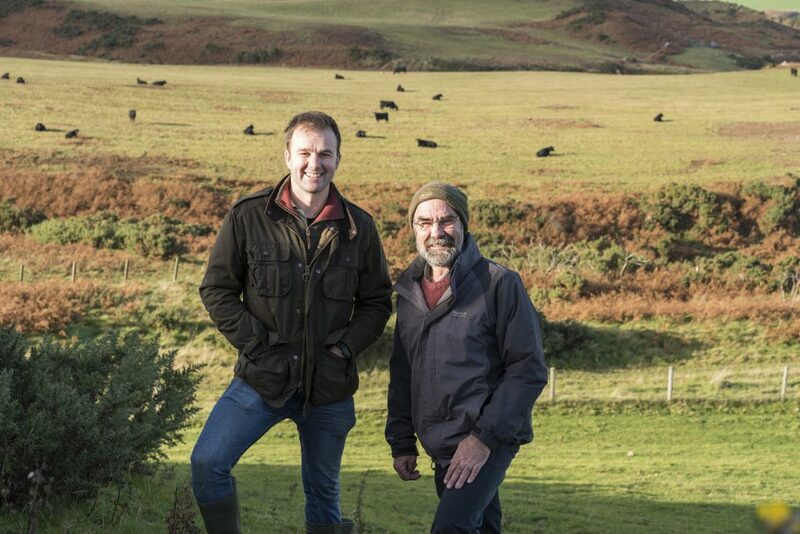 Independent assessor, Hugh McClymont was joined by guest assessor Jimmy Warnock, Chairman of the RHASS, to give a live critique as the samples were assessed. The silage samples were selected for live assessment based on their chemical analysis. “We have had some great weather this year in terms of making silage, possibly the best we have ever had. The downside of this, at least where I come from in Lanarkshire is that the drought means silage is in short supply. In the beef and sheep category clamp silage category, Jamie McIntyre, Milton of Cullerlie, Aberdeenshire for his 1st June came out on top with a sample analysing at 30.5DM and 11.6ME but and a crude protein of 13%. 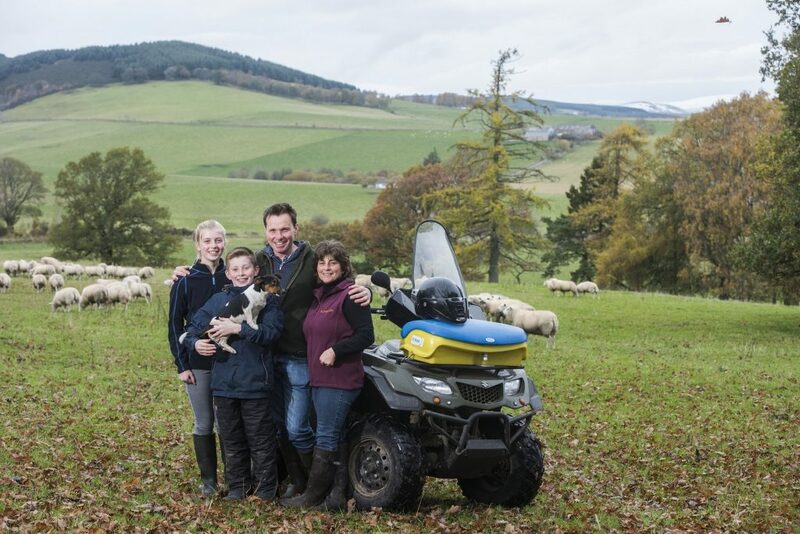 Castle Sinnines farm, Newton Stewart – the AgriScot Scotch Beef Farm of the Year 2017 – was placed second also with a sample of 30.5 dry matter, 11.6 metabolizable energy and 15.2 crude protein cut by Robert Fleming and family on 22nd May 2018. The sole finalist from south of the Border, a sample submitted by Lillburn Estates Farm Manager, Dominic Naylor, was placed third in this section. The dairy clamp silage section received the largest number of entries this year, with a total of 38 analysis reports submitted to competition convenor, Andrew Best of sponsor, Watson Seeds. First place in this section was awarded to J Kerr & Sons of Kirkland’s farm, Carnwath. Cut on the 18th of May, the earliest cut of all finalists, this sample analysed at 37.5 dry matter, 12.9 metabolizable energy and 14.9 crude protein. The second and third placed silages in the dairy section were both produced on certified organic farms. The blue ticket was awarded to, a 40DM, 12.6ME, 15.5CP silage from Rob and Andrena Shanks, organic unit, Queenscairn, Stichill, Kelso with third place going home to Torr Organics Dairy, Castle Douglas. The big bale silage class attracted some top-quality entries, with the latest cut – 22nd of August – of all finalists, a sample entered by Graeme Mather, Shandford, Brechin coming out on top in this section. This red ticket winner had an analysis of 64.8DM, 12.1ME and 14.7CP. Second place big bale silage was awarded to Balbrinie Home Farms, Freuchie, Fife, where farm manager David Aglen had produced bales analysing at 54.5DM, 11.7ME and 12.3CP. Third place was awarded to Ian Galloway. A special section for silage produced by a young farmer, under 26yo, saw Robin Campbell of Cally Mains, Castle Douglas take first place, with Norman Millar of Nether Mains, Chirnside take second with a silage analysing at 30.5DM, 12.1ME and 14.6CP. Craig Marshall from Auchleck Farm, Castle Douglas, was 3rd. First prize winners in each class received 10 acres worth of Watsons grass seed. Second and third received 5 acres and 2 acres respectively.